Earlier in July, while the spacecraft was devoting its time to gentle thrusting with its ion propulsion system, members of the mission control team spent some of their time in August 2011. Impressively capable as NASA is, time travel is not within its powers. (If it were, your correspondent could travel back in time after this is posted to remove his controversial and inappropriate comments above, thereby preventing anyone from ever having seen them and avoiding the regrettable consequences of his poor judgment. Alas, that awaits a future capability.) Instead, the team simulated being in the future, when Dawn will be finishing its approach to survey orbit around Vesta, where it will begin its intensive scrutiny of the alien world. That will be a very busy period not only for the spacecraft but also for the human members of the team. To account for details of the normal variations in the trajectory (as illustrated in a log last year) as well as the properties of the protoplanet that will be determined as Dawn closes in on it, controllers may adjust the sequences of commands that are being developed this year for execution at Vesta . For example, once the brightness of different regions of the surface is known, the instructions for the science instruments to perform their observations may need to be changed accordingly. The procedures to make these modifications reliably are complex, and the time available between receiving the pertinent data from the spacecraft and radioing the refined sequences back often will be only a few days. The team has formulated detailed schedules for all the necessary work, including the checks needed at every step. Engineers have established the criteria for making revisions, determined exactly what data must be presented and in what format for each meeting at which a decision will need to be made, and developed the computer programs to be used for verifying that no unintentional changes are made along with the intentional ones. For these complex operations involving many participants, the team cannot wait until arrival at Vesta to verify that the plans are sound, so they rehearse major elements of it. Such operational readiness tests, or ORTs, also were conducted before launch. This time, with great creativity and care, some engineers had concocted data from the science instruments and navigational data, all representing results from the approach phase. The rest of the operations team treated the data as if they were real and went through all the steps to be followed when Dawn is nearly ready to begin surveying Vesta. The ORT was successful, concluding with your correspondent providing the final approval to transmit the fine-tuned sequences to the spacecraft. The ORT allowed team members to identify opportunities for improvements in their software tools and procedures, such as parts of the schedule that allowed more time than needed for some steps and not enough time for others. While such details may seem prosaic, they are essential for the accomplishment of a grand and challenging endeavor. All the improvements will be incorporated into the final plans for how operations will be conducted at Vesta. 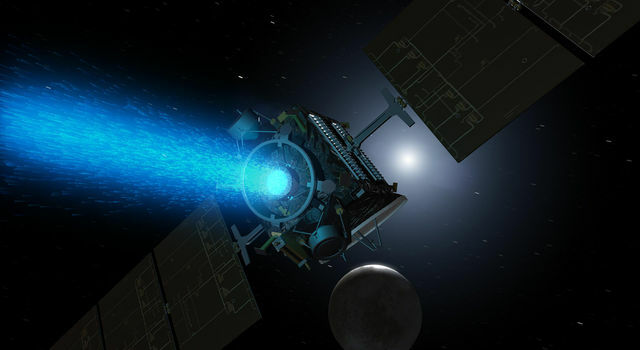 Even as the team was simulating activities in the future, Dawn remained committed to its present task of thrusting with its ion propulsion system. Last month, it exceeded the greatest propulsive change in speed by any spacecraft. On July 8, it passed another milestone when its ion thrusters had yielded 10,000 mph over the course of the mission. Such an achievement may seem somewhat less noteworthy when expressed in metric units, as the project does, but 4.47 kilometers per second is just as great a velocity! Measurements were taken of the alignment between the primary science camera and the visible and infrared mapping spectrometer (VIR) to augment those made in April. 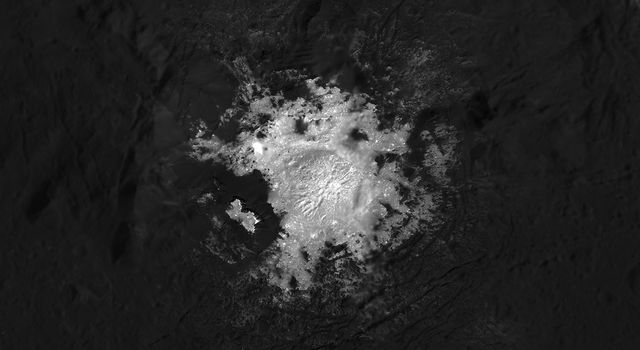 All these will be of value in combining data from the two complementary instruments at Vesta and at Ceres. The gamma ray and neutron detector (GRaND) sensed space radiation, as it has during previous tests, including the first time it was operated in space. Perhaps ironically, while the device measures some kinds of radiation, one of the gamma-ray sensors in the unit includes a crystal that deteriorates slowly under the constant exposure to other kinds of radiation that originate far outside the solar system. The changes can be reversed by carefully controlled heating of the crystal, and GRaND includes the electronics necessary to perform this function. While the instrument remains in excellent condition, scientists expect to implement this annealing prior to beginning measurements of Vesta in order to ensure the device is at peak performance. By conducting this test, engineers were able to verify that the crystal attains the correct temperature. As all readers who have flight software 9.0 commemorative tattoos can readily attest, in June, engineers installed this new version of software on the primary spacecraft computer. As we have seen before, Dawn carries four copies of the software. In case the primary copy is corrupted by radiation or any other problem, the computer has a backup available. And if the primary computer suffers a problem from which it cannot recover, a backup computer, with its own primary and backup copies of the software, is ready to take over operation of the ship. The activity in June was to load the primary copy on the primary computer, and it has been running smoothly ever since. On July 22, controllers stored the two copies of the software on the backup computer. Dawn's computer systems do not allow copying programs from one location to another, so the software was transmitted from Earth twice, once to each of the required locations in computer memory. (The backup copy for the primary computer will be radioed to the spacecraft during a future opportunity.) Unlike the work last month, this did not require rebooting the computer (with the consequent entry into safe mode), because the software is not active. As Dawn gradually closes in on Vesta, it continues to climb away from the sun. On July 26, it was exactly 2 AU from the master of the solar system, or twice Earth's average distance from the sun. In the northern hemisphere summer, Earth is at its farthest from the sun, so it will not be until August 24 that Dawn will be precisely twice as far from the sun as Earth is. Even then, as most days, while our home world continues following its repetitive loops around the sun, the spacecraft will persist in enlarging its orbit. The region of the solar system occupied by our planet, its inhabitants, and the companions it brings along under the grip of its gravity is now alien to Dawn. The sun that burns bright and large in our sky, although brilliant throughout the solar system, grows dimmer and smaller as the ship sails on. Dawn is a permanent denizen of the asteroid belt, the only spacecraft ever to take up residence there. Far from the sun, far from Earth, the probe carries with it the spirit of exploration and the quest for knowledge that thrive in the home it left behind as it looks ahead in its search for new insights into the dawn of the solar system. 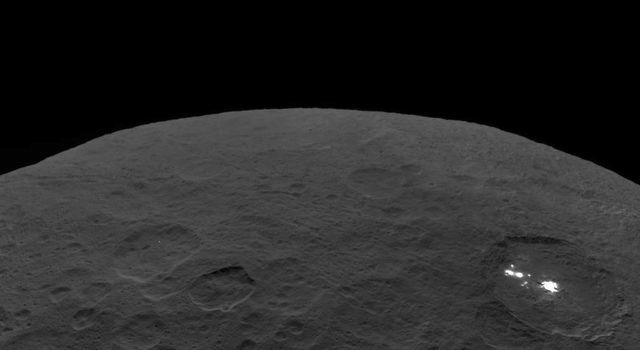 Dawn is 0.26 AU (39 million kilometers or 24 million miles) from Vesta, its next destination. It is also 2.55 AU (381 million kilometers or 237 million miles) from Earth, or 940 times as far as the moon and 2.51 times as far as the sun. Radio signals, traveling at the universal limit of the speed of light, take 43 minutes to make the round trip.